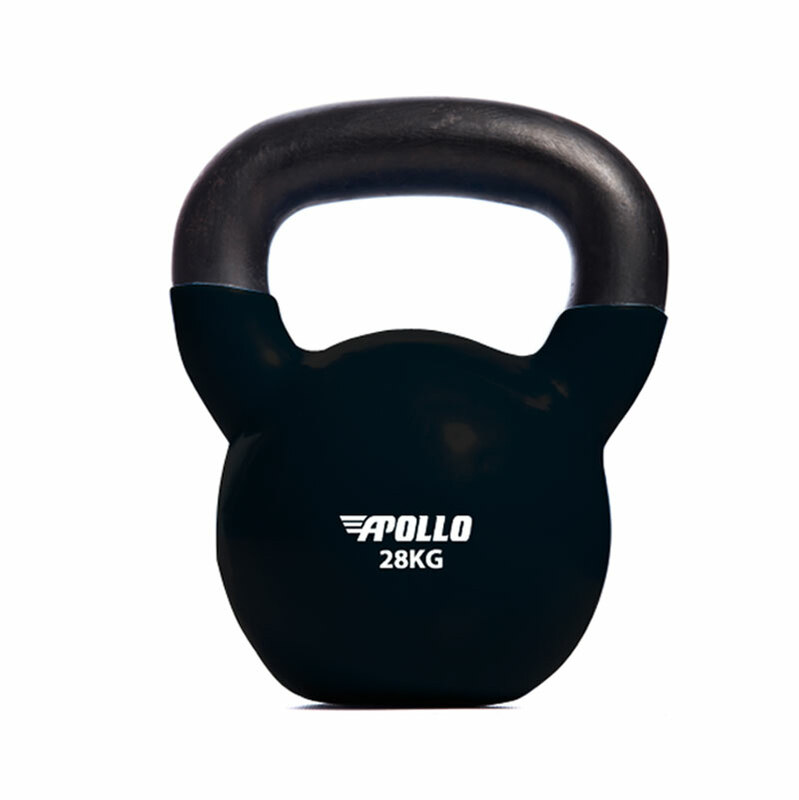 The Apollo Polyurethane Coated Kettlebells are coloured for ease of weight recognition, a handy piece of equipment for use in all sorts of fitness regimes. Kettlebells are weights that can be lifted like ordinary dumbbells, but can also be swung about for an intense cardio workout. With kettlebells you can have a workout in very little space that will get your heart pumping and exercise your whole body. With a pair of these you can burn up just as many calories, as going for a run, all you need is the room to swing your arms. There are hundreds of exercises you can do with a kettlebell, exercising your whole body, in little space. Polyurethane is a unique material that offers the elasticity of rubber combined with the toughness and durability of metal. Because urethane is available in a very broad hardness range.